When I think peel masks, I think of it literally – you peel it when it’s set. Can you tell I’ve never used these types of masks before? 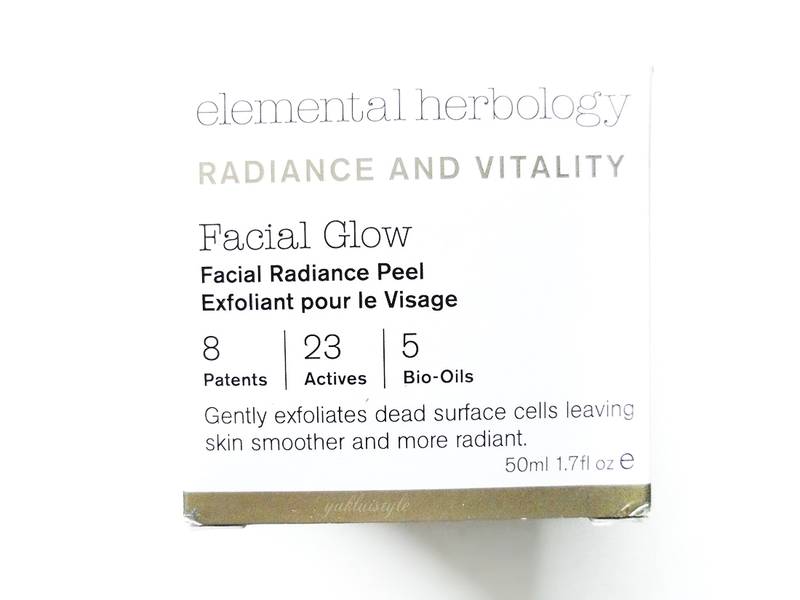 I’m glad I’ve been introduced to Elemental Herbology and this peel. 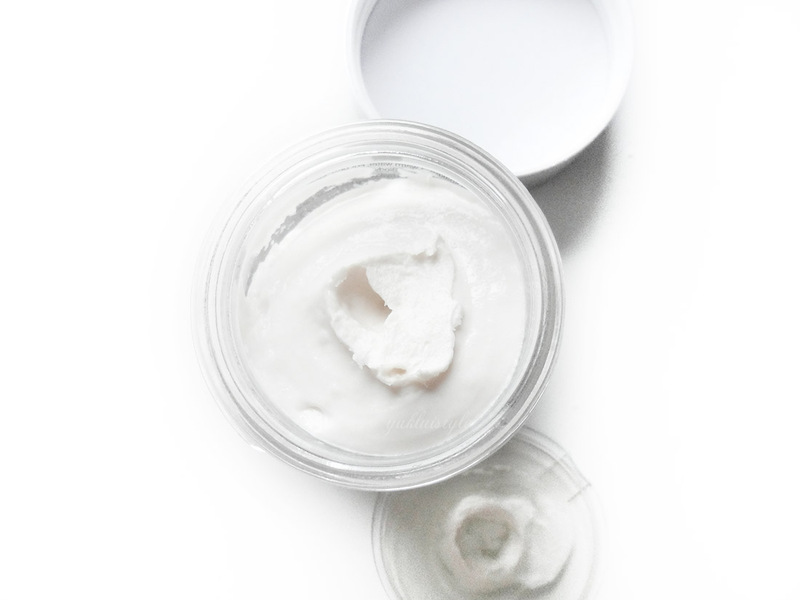 From the list, you can see how this formulation is jam packed full of good skin loving nutrients and natural too, ensuring it doesn’t irritate the skin. This is suited for all skin types. This has a creamy, grainy texture with a lovely zesty, orange scent. To use this, I apply a thin layer onto clean, damp skin and leave it on for 4 minutes as stated on the packaging. Then remove it with a warm face cloth. It’s gentle on the skin and doesn’t cause any discomfort during those 4 minutes. My face definitely looks brighter straightaway, something that isn’t generally achieved if I’ve used my normal, manual facial exfoliator. My skin doesn’t feel tight, greasy or overly scrubbed. It’s soft, feels smooth and I’m glowing! Say goodbye dead skin. This peel has removed the dry area around spots and haven’t suffered from any break outs. I do pop my spots (bad I know) and it leaves a dark area which takes time disappear. The peel helped to even out those areas quicker. I’ve been using this on a weekly basis for the last few months and the overall texture of the skin has improved wonderfully. I love how it only takes 4 minutes as I don’t have time for a standard mask these days. This is a god send especially when I’ve spent some time in London. Clogged pores haven. This is a staple in my skin care routine and I’m happy to pay £40 for it as the tub lasts me a while. Highly recommend it. As long as I’ve got this during winter, I feel even more prepared. You can get your hands on it here. Have you tried any Elemental Herbology products? I love this product it is good when you need a little facial detox! This sounds like an absolutely fabulous mask – and a great investment! Wow, I like how you give review to this product. Really honest, concise and seems to be an interesting product to try. Never tried using a face mask, I might look at this product. Thank you for recommending this amazing product! No I haven't but would love to try this. Sounds fab. Wow, a fancy facial product with a very fancy name. Herbology gives it an all-natural sound, which will definitely attract customers. i always have this fear of using anything for my face but this one here looks and sounds different from others i have seen, and its content seems more organic also. worth a try. I've been using some products from this brand and I've been loving them! I haven't heard or seen this brand either! Wonder if it's available in Sephora store in Singapore. Hope to see more of your mask reviews! P.S. Peel mask are fun! This sounds like a great product, I've been looking for some peel masks. This sounds so good! I've never tried a peel mask before either so I wouldn't have a clue! Haha. I thought the same thing about peel masks until I had one at a spa and was totally surprised! This one sounds good, especially the fact it only takes 4 mins and that it reduces the discolouration around old spots (I'm a squeezer too). Okay so this sounds amazing, definitely checking it out! The peel looks really effective. It's really a great way to cleanse your skin from all the dirt, debris and irritations. I'm not sure why Kombuchka is growing popularity right now but it may be because it's really effective to improve the skin. 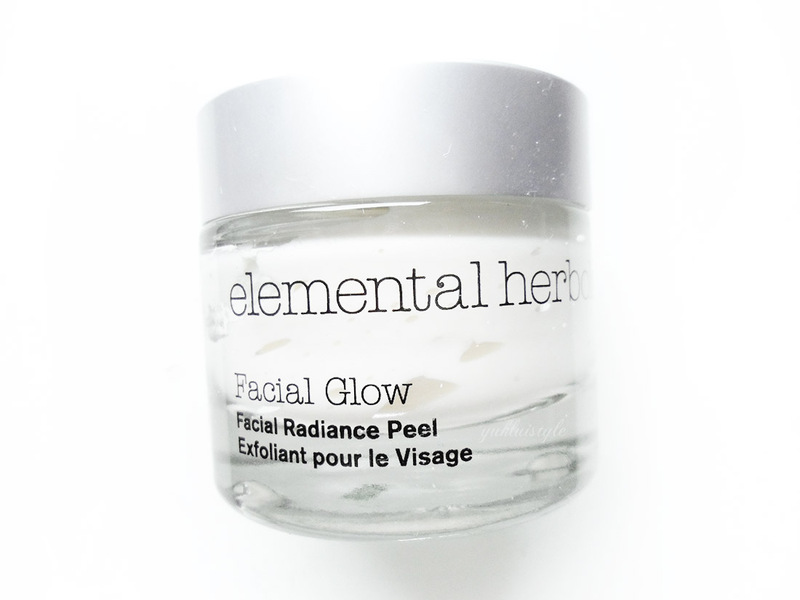 I haven't heard of Elemental Herbology but it looks like a great skin care product. This looks and sounds great!! I'm always trying different masks! I love facial masks especially the ones that help with exfoliating. I'm glad this works well for you and that you haven't had any breakouts. It sounds like a great product! I love face masks, and especially peel masks – this one sounds fantastic! I need to pamper myself soon! Will look out for this product if available in Singapore. That's actually easy to use. Removing face packs with cotton and washing them is definitely time consuming. The ability to peel them off is good. 4 minutes is really speedy! I love that my teen now has face mask evenings with her friends – Sounds a perfect way to keep your skin healthy and have fun at the same time.